It’s been said that the dome of the Cathedral in Florence, Italy is one of, if not the most beautiful domes in the world. “Il Duomo” was begun in 1296 by Arnolfo di Cambio. In the early 1400s, as they were ready to add the dome, there was a problem. Not since the Pantheon was built in Rome 1400 years before had anyone attempted to build a dome as large. To this day, the Pantheon is the largest unreinforced concrete dome. The Pantheon spans 125 feet. 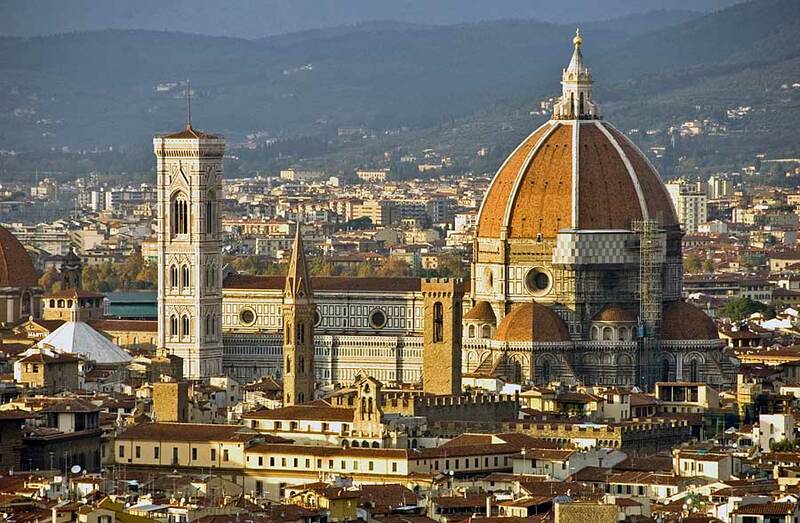 The Florence cathedral would span 142 feet. The Pantheon’s dome contains and “oculus”; it is open to the elements as it’s main light source. The dome in Florence would need to be closed. To find the right person to build the dome, Filipo Brunelleschi would win a contest sponsored by the Arte della Lana (wool merchants guild). The way he won may be outrageous fiction, but I like to think otherwise. The finalists were gathered into a room with a large table. Their test was that if they could balance an ordinary egg so it stood tall and did not fall over, they would get the commission. All of the candidates took turns; carefully balancing it, helping each other and making deals to share the commission, someone left and returned with table salt trying to give the egg something to hold it up. All to no avail. After everyone had tried and given up, Brunelleschi picked up the egg, tapped it on the table slightly cracking it and making a flat spot and stood it on end. He was given the commission and the rest is, as they say… history. Love your blog! Count me as a new number one fan! REblogged this fine new post! Well thank you sir!! I’m enjoying yours as well! !